Stefano Ricci dress shirt in small check. Spread collar with hidden button down. 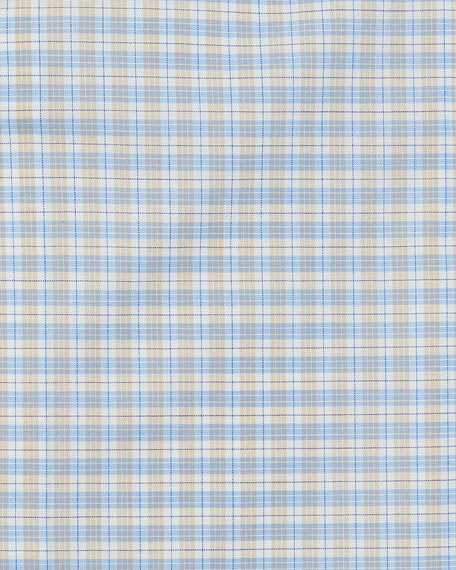 Eton dress shirt in two-tone check pattern. High performance, crease-resistant fabric. Moderate spread collar with permanent collar stays. Convertible button cuff to French cuff. Contemporary fit. Darts at the back to adjust the width. Cotton. Machine wash, line dry. Imported. 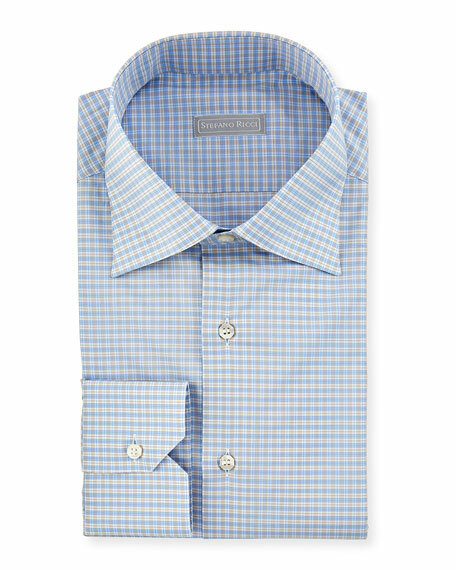 Eton slim fit dress shirt in gingham check design. Spread collar; button front. Long-sleeves. Mitered cuffs. Shirttail hem. Cotton. Machine wash. Imported. Stefano Ricci basic dress shirt. Spread collar; button front. Octagonal buttons. Rounded barrel cuffs. Shirttail hem. Cotton. Made in Italy. Stefano Ricci basic dress shirt. Spread collar; button front. Octagonal buttons. Rounded barrel cuffs. Shirttail hem. Cotton. Made in Italy. Model's measurements: Height, 6'1.5"/187cm, waist 32"/81cm, suit 40L, shirt 15.5x34, inseam 32"/81cm. Stefano Ricci dress shirt in stripes with contrast collar and cuffs, finished with piping detail. Point collar; French-placket button front. Stefano Ricci dress shirt in stripes with contrast collar and cuffs, finished with piping detail. Point collar; French-placket button front. French cuffs (cuff links sold separately) . Yoked back shoulders. Shirttail hem. Cotton. Made in Italy.